Tacloban City is the capital of Leyte, and the regional center of the Eastern Visayas. It is by far the largest city in the area. Though tourism is underdeveloped in Tacloban City, as it is throughout the Eastern Visayas, the city does have a lot to offer to the visitor. 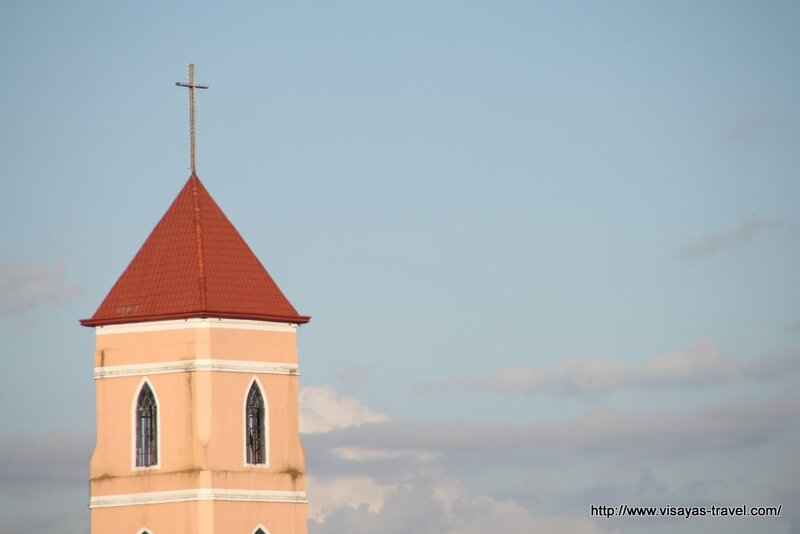 The Santo Niño Church, the largest church of the city, dominates the skyline of Tacloban City. With its distinctive color you can see it from afar, even from the plane just before landing. The church has daily masses in English and in several Filipino languages. The Santo Niño Shrine and Heritage Museum, also known as Romualdez Museum, is a mansion built for the then first lady Imelda Romualdez Marcos. 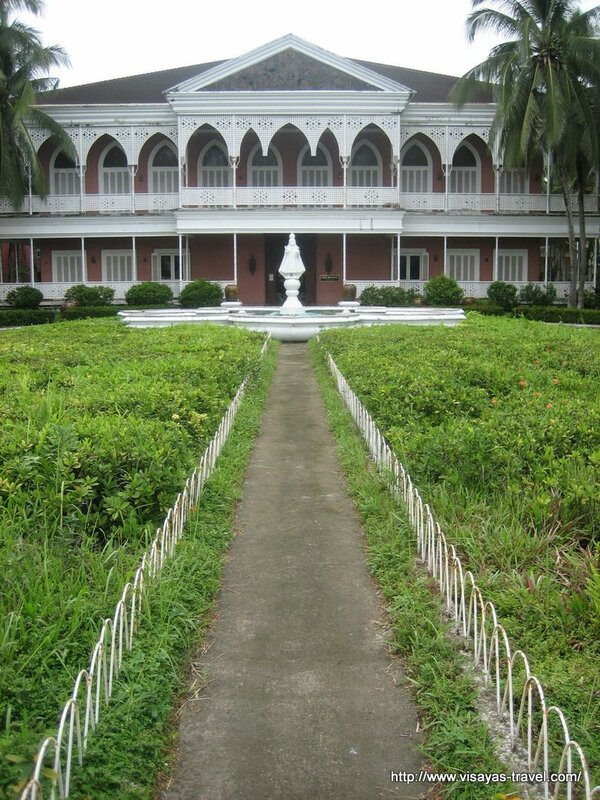 The Marcos family never used it, though, and after President Marcos was ousted the villa was opened to the public. Just outside the city, on a hill aptly named Calvary Hill, are groups of larger than lifesize statues depicting the stations of the cross. You have to climb all the way to the hilltop to see all the stations, so visiting them is not for everyone. You can see all the stations in the blog article Stations of the Cross. The white Capitol landmark houses Leyte’s provincial government. When you visit the Capitol, don’t forget to have a look at the beautiful reliefs, on either side of the building, depicting scenes from Leyte’s history. The Japanese peace park houses the statue of the Goddess of Peace, also known as the Japanese Madonna. The statue was a gift from Japan, as a symbol of peace and friendship. The park is a popular destination for young, courting couples. The McArthur landing memorial in Palo. The San Juanico Bridge, one of the longest bridges in the country, connecting Leyte with neighboring island Samar. Rafael Farm, a landscaped park with a restaurant and function rooms. was the Romualdez Museum not damaged during the yolanda / haiyan typhoon ? Yes, it was. I don’t know if it already reopened. Pingback: Three resorts | A glimpse of the world through the eyes of Henk van Kampen.